Mari studied Drama and Theatre arts at the University of Stellenbosch, followed by a honours degree, specializing in Media Studies. During her studies she acted in various children's theatre productions and was involved in workshop productions emphasizing the power of education through drama. After her studies she followed a career in the corporate sector but always yearned to get back to her “creative roots”. Growing up in a home with both parents being qualified teachers, a natural love for educating and empowering children has always been in her blood. 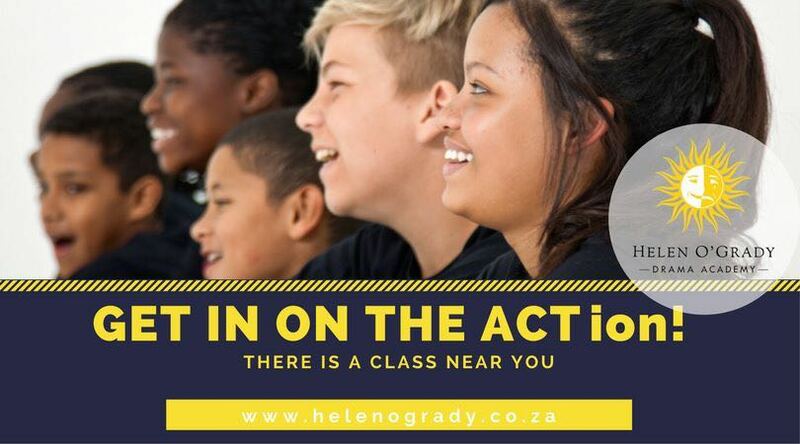 Helen O'Grady was the perfect way for her to combine her theatre studies, knowledge of business and most important of all her passion for the development of children's confidence, self-esteem and communication skills. Mari believes that drama and theatre forms part of a very natural developmental process that can have a tremendous effect on a child's emotional maturity, self awareness, awareness of others, ability to work as part of a group and their development of personal skills. Our children keep coming back for more in Casablanca! Accra celebrates first year in style! Sandy Rudd from Windhoek expounds on the Jerzy Grotowski theories of acting!